Jason Bolt is a manager with Willamette Management Associates. Jason performs the following types of valuation and economic analyses: merger and acquisitions, fairness opinions, ESOP formations and adequate consideration analyses, litigation support, shareholder dissension/oppression valuations. Jason has experience in ESOP-related valuation engagements including ESOP transactions, annual updates, and ESOP-related litigation. 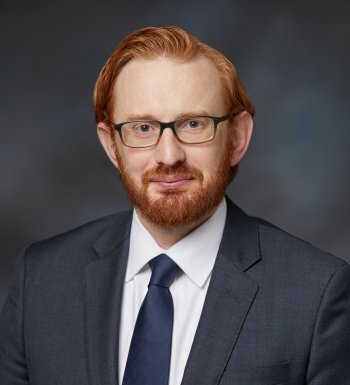 Jason also prepares valuation and economic analyses for taxation planning and compliance (federal income, gift, and estate tax), financial reporting, dispute resolution, marital dissolution, and strategic information and corporate planning purposes. He performs these valuations for the following types of business entities and securities: closely held corporation business enterprises, closely held corporation noncontrolling ownership interests, various classes of common/preferred stock, general and limited partnership interests, and nonmarketable debt securities. Jason has experience valuing businesses in the following industries: banking and financial services, chemical manufacturing, construction, convenience store, engineering, information technology, manufacturing, payroll services, real estate management and operators, retail, telecommunications, textile, timber, trucking, and wholesaling. Prior to joining Willamette Management Associates, Jason was a business valuation manager at Jones & Roth, P.C. in Hillsboro, Oregon, and a senior associate at Columbia Financial Advisors, Inc., in Portland, Oregon. Jason’s practice at these firms was primarily focused on valuing companies for ESOP purposes and gift and estate purposes. Jason holds the chartered financial analyst (“CFA”) designation of the CFA Institute. Jason is also a member of the CFA Institute, and the CFA Society of Portland. Jason also holds the accredited senior Appraiser (“ASA”) designation in business valuation from the American Society of Appraisers.